Michael B. Jordan gave the performance of his lifetime playing the role of supervillain Erik Killmonger in the critically acclaimed film “Black Panther” — but it took a toll on his mental health. In a brutally honest new interview with Oprah Winfrey, he admits that investing so much of himself into the part left him in a really dark and lonely place, and directly after filming was forced to seek professional help. In order to get himself in the headspace to go up against Chadwick Boseman’s title character in the Marvel Comics flick, Jordan went into a personally dark place and struggled to return to his normal self. "I went to therapy, I started talking to people, starting unpacking a little bit,” he told Oprah during a taping of her “SuperSoul Conversations” TV special. "I was by myself, isolating myself," he continued. The media legend then asked him where he went to "get all that nastiness" embodied in his villainous character. "I spent a lot of time alone," Jordan responded. "I figured Erik [Killmonger], his childhood growing up was pretty lonely. He didn't have a lot of people he could talk to about this place called Wakanda that didn't exist." Like many great actors, Jordan felt it was necessary to really embrace the psychology behind his character, but ended up getting caught up in the emotional journey. While Jordan “didn’t have a process” of getting into character, he did whatever he felt “needed to do or whatever I felt was right in the moment every step of the way.” However, as each scene ended he struggled to find emotional closure, which became problematic. “I didn’t have an escape plan,” Jordan told Oprah. By the time filming was complete, he wasn’t in a good place. "When it was all over, I think just being in that kind of mind state... It caught up with me." The actors admits it “was a little tough” to get out of character and to assimilate back into his daily life. "Readjusting to people caring about me, getting that love that I shut out," he continued. "I shut out love, I didn't want love. I wanted to be in this lonely place as long as I could." While Jordan never gives a label to the mental state he succumbed to, as many as 6 million American men suffer from depression each year, and are far less likely than women to talk about it or to seek treatment. Even more troubling are some other statistics surrounded men and mental health. For instance, male suicide is at three-and-a-half times more than the rates for women and in 2017, white males accounted for nearly 78 percent of suicide deaths. According to studies, there are a few main reasons why men are less likely to seek professional mental health help than women. Some of these include their inability to openly discuss and express emotion due to masculine role socialization and their fear that society will look down upon them if they do seek help. When these men opt against any sort of treatment, many will find that they can't really handle it on their own and will opt to self-medicate with drugs and alcohol, further agitating their mental state. So just how do we get more men to consider therapy? We need to change the dialogue and make it honorable for men to be in touch with their emotions. 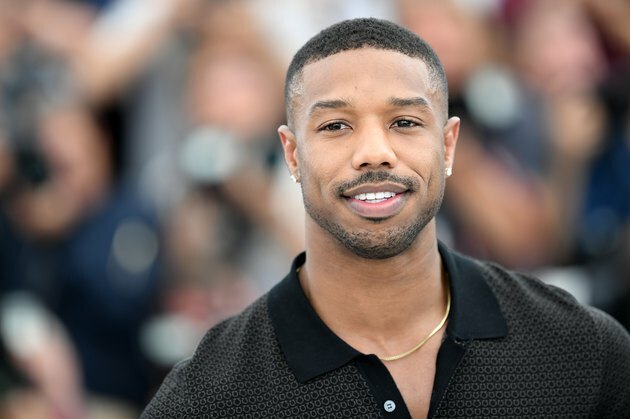 By opening up about his personal mental health struggles and admitting that he sought treatment to deal with them, Michael B. Jordan is doing his part to bust up this antiquated notion that real men are “tough” and don’t need to ask for help. While he might have played a supervillain in "Black Panther," in real life he is actually a superhero.